Meet Ryder the Rabbit. 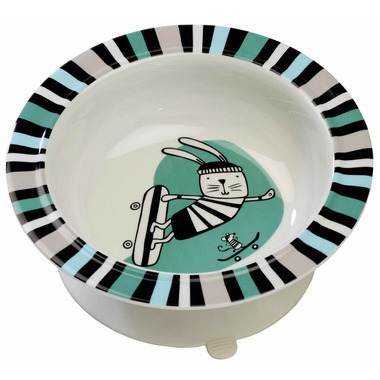 The Suction Bowl features cool Ryder doing skate tricks with his little friend riding on the back.The Suction Bowl livens up the table at mealtime. The removable suction base is designed to help keep the bowl in place on most smooth surfaces.